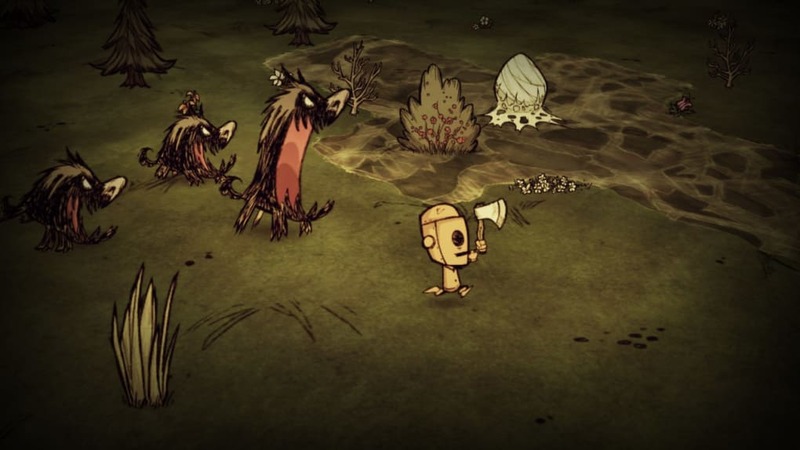 Don't starve. Or die. Or get eaten. 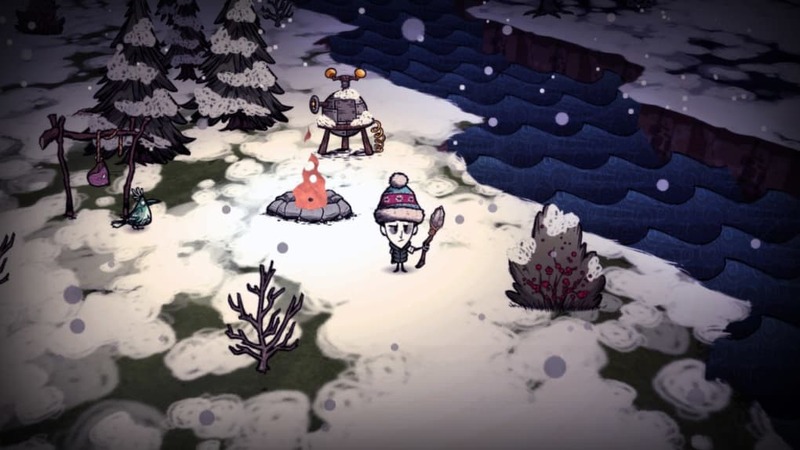 Don’t Starve is the ultimate extreme survival game. Abandoned in a forest with absolutely nothing, you must survive. Find food, last the night, defend yourself, investigate new objects, make a hut - do whatever you have to see another day. 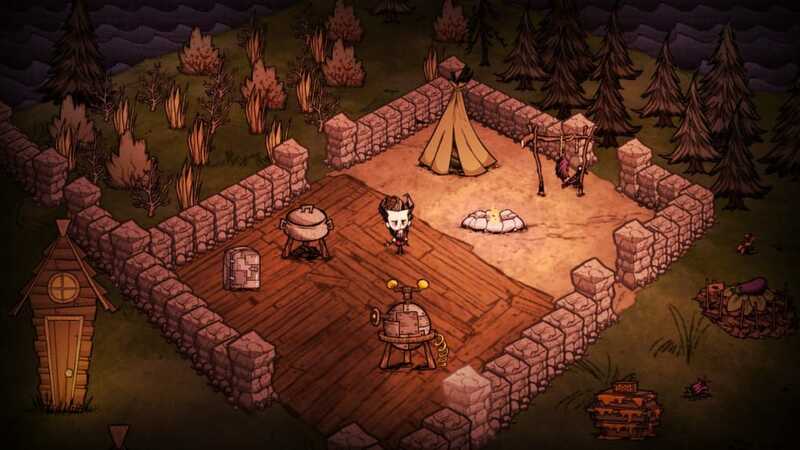 Don't Starve teaches you nothing, shows you nothing and helps you with nothing. 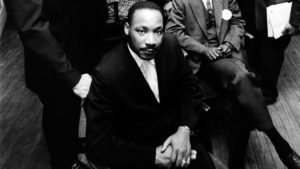 Anything you do, you must find out how to do it yourself. The smallest mistake kills, taking you straight back to the beginning. 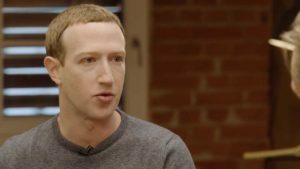 Prevent system Shutdown, Stand By, Turn Off , Restart, Hibernate. 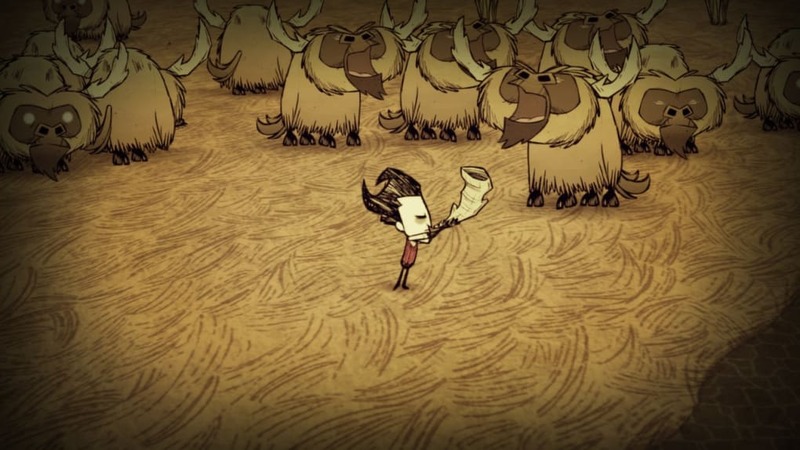 Don’t Starve is one of those games that really gets to you. It's so easy to die, so your ego really gets a boost when you manage to survive. You're still busy congratulating yourself when - WHOMP! - you're dead. Again. Surviving in the forest is an absolute challenge - everything is 100% designed to challenge you and to make the survival experience a realistic one. To start, you need to take care of 3 aspects: physical health, mental health, and hunger. Hunger is by far the most immediate challenge, as you'll constantly need to eat to make sure you don't starve. Day and night pass, as do the seasons of the year and different types of weather. The forest is full of useful tools and items, all ready to be used. There is fruit, there are trees, flowers and rabbits. These are all you need to pass the first few days pretty well, but soon you're going to start needing more. You'll start collecting stones and gold, and if you find a little bit of wood, you'll be able to make a "science machine" that will give you access to new creations. Most of your time is going to be spent collecting things. The sheer amount of stuff you can pick up is impressive, and it's by combining them that you'll be able to make tools like axes, spears, huts, protective walls, portable stoves, little vegetable plots, etc. 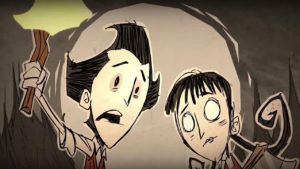 Dying in Don't Starve is a clear and present danger. You should accept it as just being part of the plan, so don't despair. There's a rewards system based on your experience, and you'll unlock new characters with abilities that will help you survive. Almost all movement is carried out with the mouse. You'll use it to move the main character, select objects, create tools, etc. It's a totally standard point and click affair that won't cause you any difficulty. 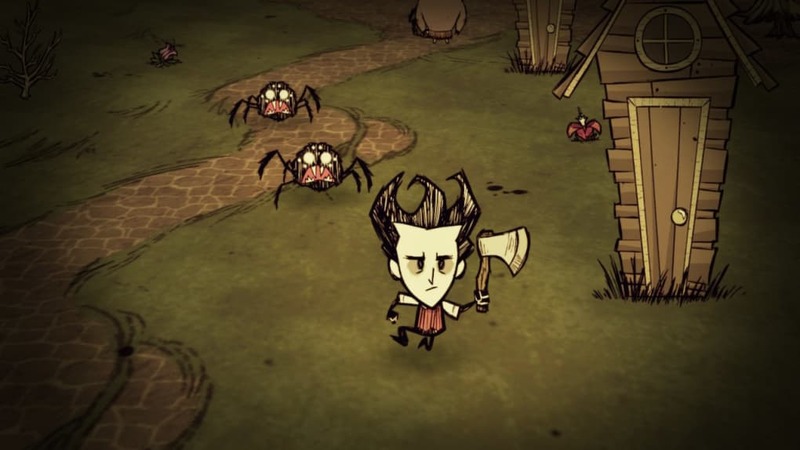 If we had anything bad to say about Don't Starve, apart from the difficulty, is that the menu system is a little uncomfortable. Also, as you progress through the game, the number of things you can construct multiplies hugely, making it hard to know exactly what you can or should construct. 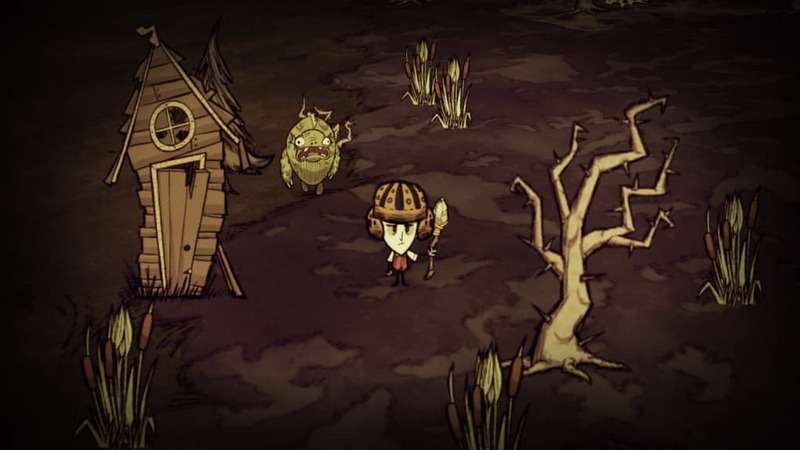 Graphically, Don’t Starve is a delight, with a dark, cartoony style. The details of the forest, objects and animations are perfectly done. The animations are a little rough, but that's on purpose. The music is perfect for the game. It only appears at certain moments and, interspersed with the blank silence that accompanies you for most of the game, it really captures the atmosphere. That said, a little more variety wouldn't go amiss. 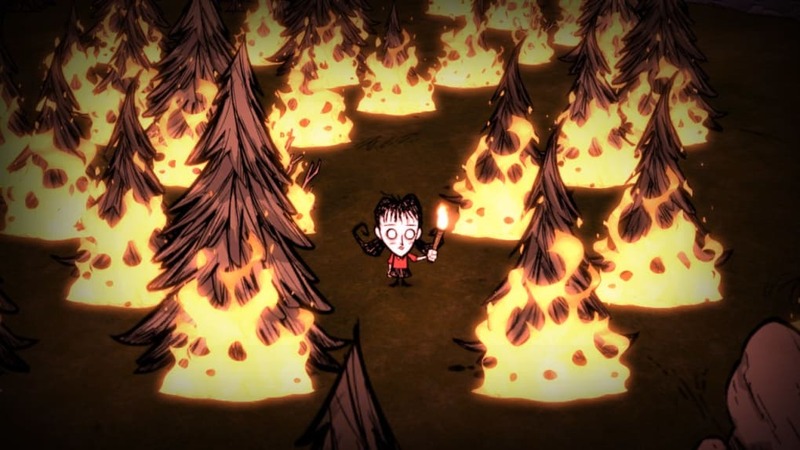 Don’t Starve is difficult. And frustrating. Very frustrating. 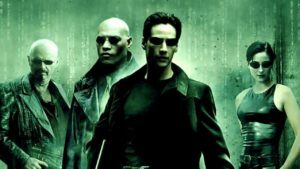 Iif you manage to make it through the first few hours of learning, though, you're going to find a really satisfying game that's both realistic and very fun. 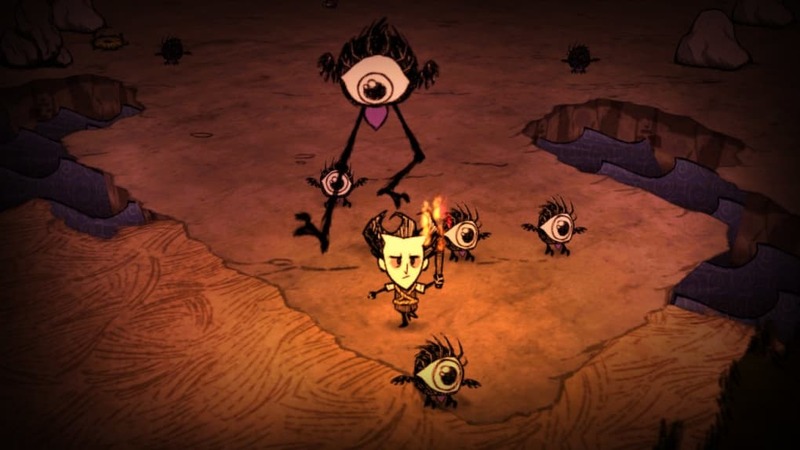 The best part is that the creators of Don't Starve keep introducing changes and improvements every few weeks, keeping the game fresh and interesting. There's always new things to explore and discover. 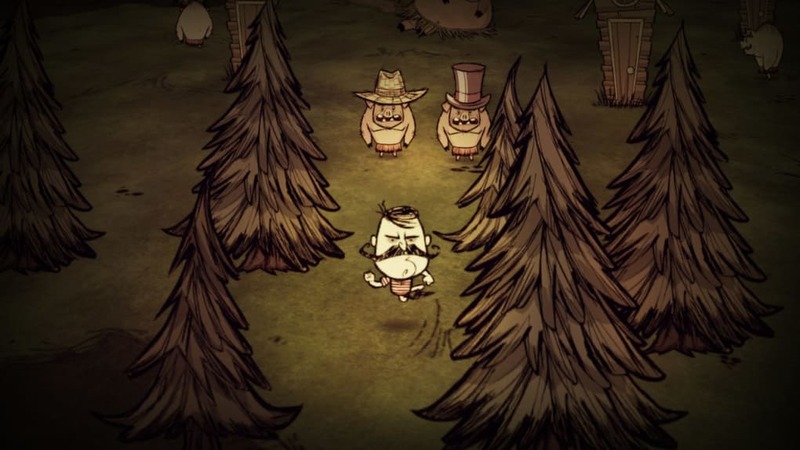 Don't Starve is one of the best games of the year, don't miss it. cool game.. this game is cool and is kind of like minecraft exept that you cant dig or set blocks on each other.